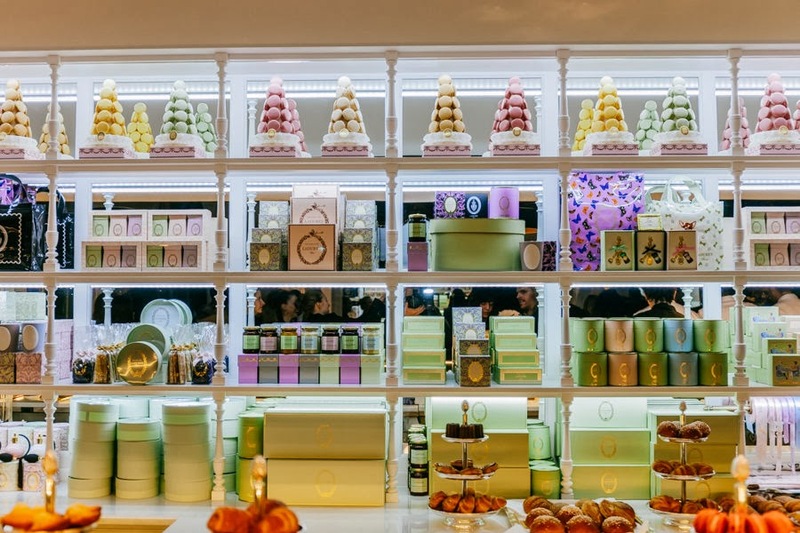 Ladurée has finally opened a tea room in Soho. The New Potato takes a tour and interviews their president. Vanity Fair also covered it here. Luckily my husband loves macarons even more than I do, so it won't be too hard to convince him to spend an afternoon waiting in line with me this weekend. PUNCH finds out what Grant Reynolds, sommelier of NYC's Charlie Bird (which gets a lot of attention for it's wine list) drinks when he's off duty. It's a part of their series called "That Wine Lyfe: a drink diary of America's wine pros." A Williamsburg start-up called DivvyDown will determine how much food & drink you need for your next party, help you split the cost and/or divide the responsibilities amongst your guests in a BYO plan of some sort, and even have what you need delivered. I'm guessing that the concept is more appropriate for 20-somethings, mostly because I don't fully understand it, which makes me feel old. Do "kids these days" really need an app to have friends over?! Saturday = March!! Which means it's not too early to start shopping for spring. I've updated my Spring Style board with lots of fun, current options. Did you guys take advantage of Shopbop's big sale this week? I bought this delicate gold necklace and it's my new favorite thing. If you need to refresh your entertaining items, Serena & Lily is having the most incredible sale on Gilt right now. I'm obsessing over these trays in grey. The Oscars are on Sunday. Yesterday I rounded up some printable & DIY ideas from the web. The Glitter Guide put together some Easy Oscar Viewing Party Tips & Oscar-Worthy Popcorn & Cocktail Recipes - now you have no excuse not to host a little party!